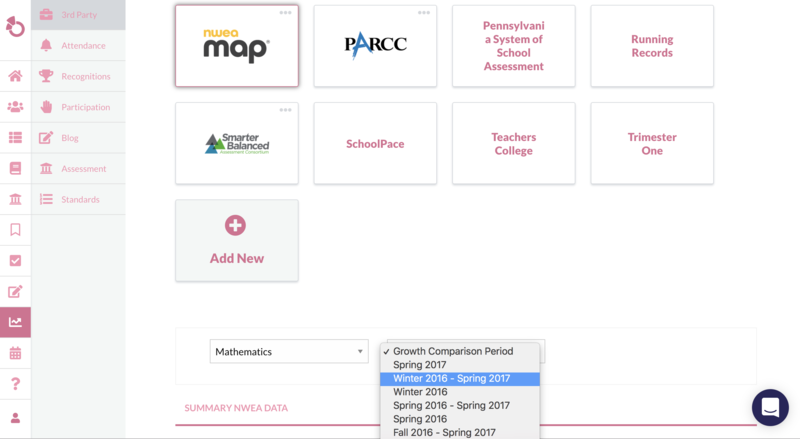 If your students have NWEA Math data uploaded into Otus, you can find Khan Academy resources that would specifically benefit them and send it directly to their bookshelf. Here is how! First: Enter the 3rd party analytics module by selecting "ANALYTICS" on the left had side of the screen. Second: Select the NWEA Map tile and scroll down. You will need to select the subject and the growth comparison period. 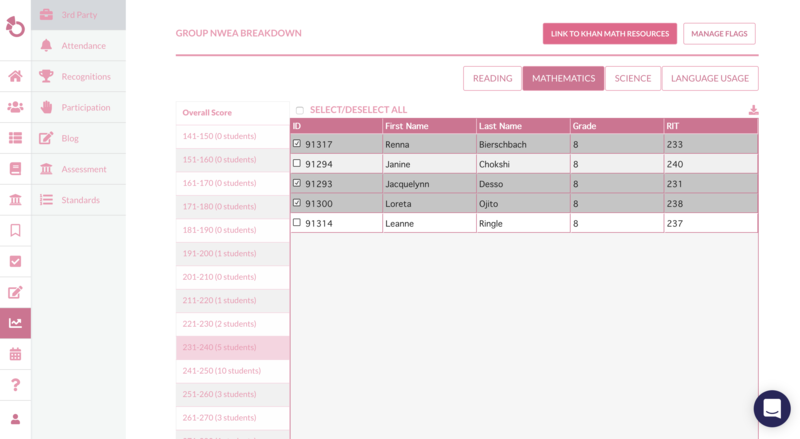 Third: Scroll down to Group NWEA Breakdown and select Mathematics. Once done, you will see the students grouped based on Overall Score Range. 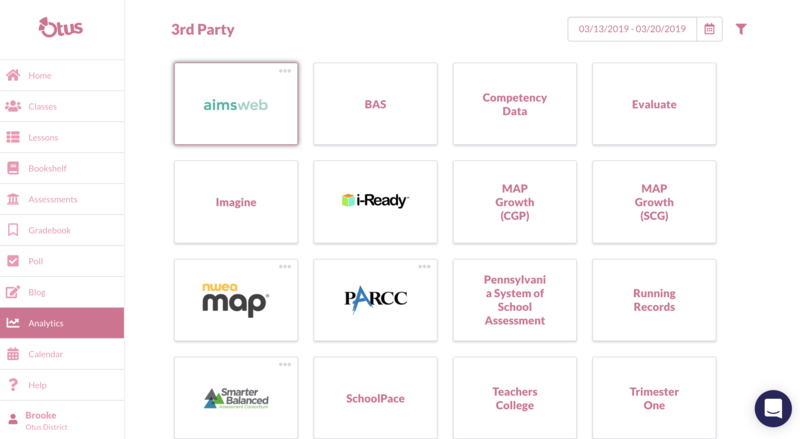 Fourth: Click on a Score Range to see the students who fall into the range, select the ones you wish to send Khan Academy resources to, and click LINK TO KHAN MATH RESOURCES. 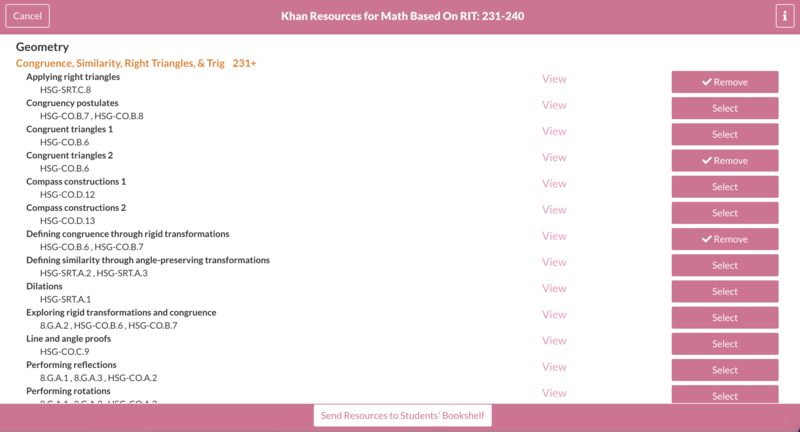 Fifth: Select the Khan resources you want to send to the students bookshelf and click SEND RESOURCES TO STUDENTS BOOKSHELF. The student will then see the recourse(s) available in their bookshelf!